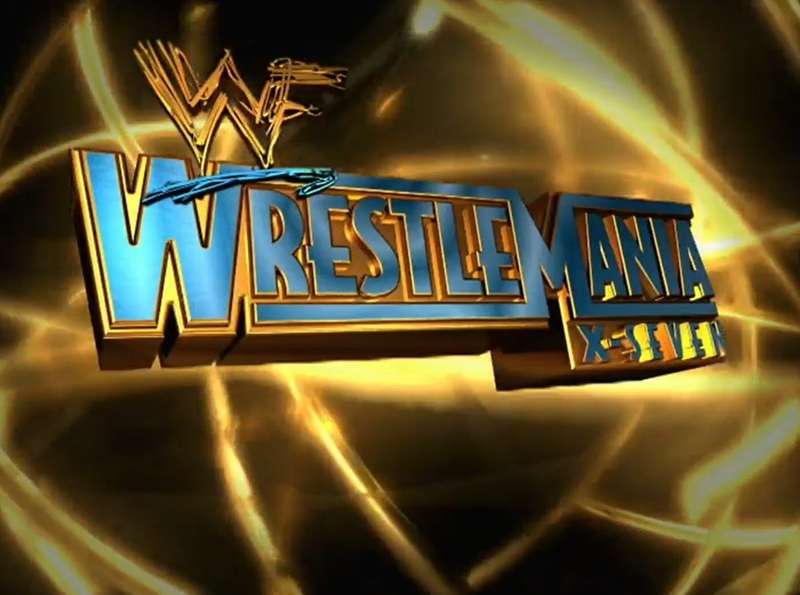 After WCW folded in 2001 and was bought out by Vince McMahon and the World Wrestling Federation, I’m sure that fans were expecting some sort of WCW presence at WrestleMania X-Seven. The final episode of WCW Monday Nitro was only six days before the “Showcase of the Immortals” took place from Houston, TX where Shane McMahon would be taking on Vince McMahon in a Street Fight — why the hell wouldn’t there be a Sting or a Booker T. there alongside the newest “owner” of World Championship Wrestling? 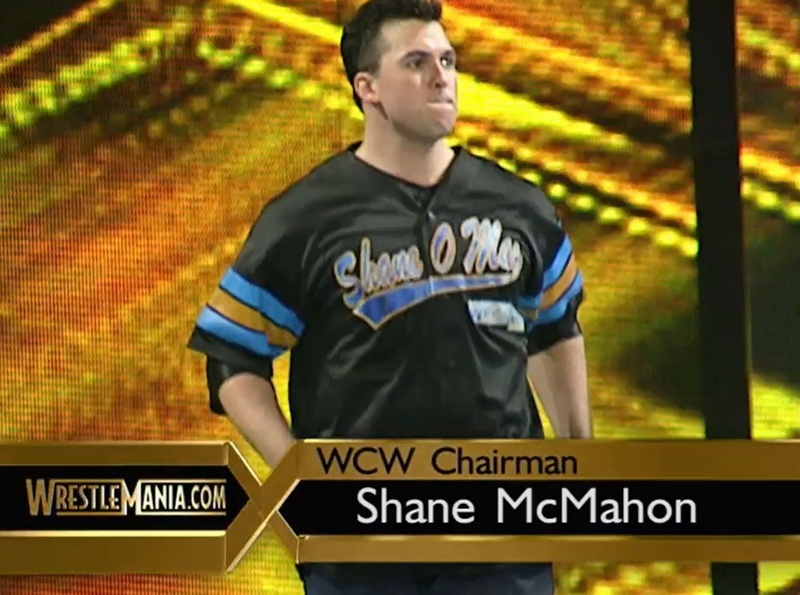 WCW Chairman: La Park — I mean, Shane McMahon! Not too sure how “Beautiful” Bobby Eaton got lumped into being called a “young star” but BOBBY EATON HAD HIS WRESTLEMANIA MOMENT! ALL 11-SECONDS!! EDIT: Apparently, the man on the far left might actually be John Laurinaitis, not Eaton as pointed out by several people on Twitter. Johnny Ace was the main booker of WCW when it folded, but Eaton was brought in as a trainer as well at this time. Going to go with the crowd and admit to messing up. Whoops! EDIT 2: Johnny Ace responds and confirms that it is him, not Bobby Eaton! Stasiak went onto the No Holds Barred radio show and blew the entire angle the day before WrestleMania. Along with revealing the WCW involvement, Stasiask also bragged about how the WWF had already given him a new deal (not true), and even mentioned plans for Bobby “The Brain” Heenan to be brought in as color commentator for the new Nitro show (also not true). “Chris Jericho: [Y]ou had come from WCW in the original WCW Invasion, when Vince bought WCW. You came over in that group. Jericho: Because Stasiak said the eleven names? Demott: I guess he did something right as the Internet was just coming out or whatever it was. So, Stasiak did an interview and gave up all eleven names that were going to be at WrestleMania. Jericho: You’ve got heat before you even showed up. So, I go down to meet Johnny – he’s pissed. He told me the story, but he didn’t say it’s Stasiak. He goes, “Well, who went out on…” and I go, ‘that’s not my deal’. Then, Ernie Ladd meets us. I went from being IN the ring with Shane McMahon at WrestleMania — that’s going to be my debut in the WWE — to a silhouette of me and Lance sitting with Mike Sanders and someone else. The whole time, and you can imagine, Lance is just miserable. 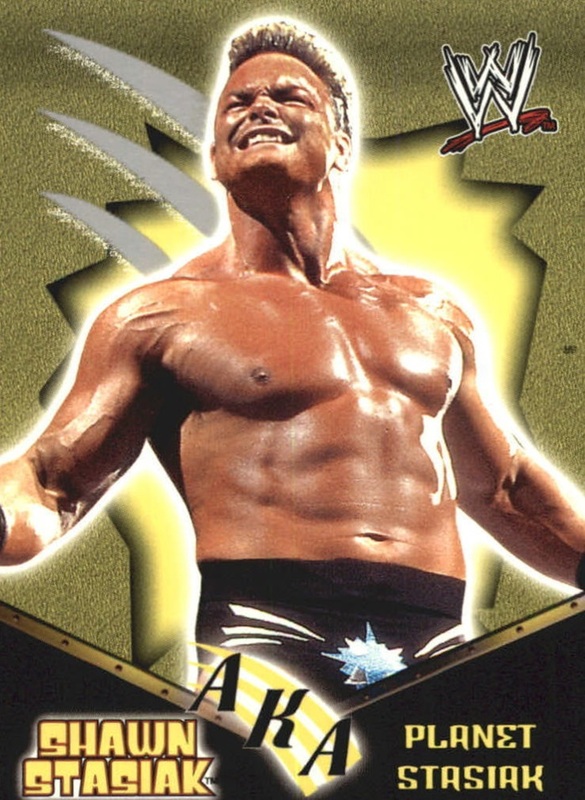 Shawn Stasiak is currently employed as a chiropractor in the Dallas area. No word yet if he attended WrestleMania this year or if he somehow was the reason why Karl Anderson and Doc Gallows were kept from making their debut as whatever Bullet Club knockoff the WWE has planned for them. Next articleYouTube Update: The WCW InVasion comes to Metal! Surprised Stasiak was let to sit near the group. Figured they would have pushed him off the side or something. Everything I’ve read about him kinda hints at him being a legit oddball or just plain nuts. I want to see him and Perry Saturn hang out. The only reason Stasiak ever had a job in wrestling is because of his daddy. He was a no talent hack. He couldn’t cut a promo. He couldn’t wrestle. What a piece of trash. Not the first time I’ve read this opinion. Nepotism is a common occurrence in the world of wrestling, isn’t it?